I originally wrote this in September 2013. It is just as relevant now in December. The big news in America is that the rate on the 10-year Treasury bond has risen dramatically from around 1.6% to over 2.9% [now on December 5, 2.84%]. This is 130 basis points from a starting point of 160, or an increase of more than 80%! So naturally, the financial media are discussing the “essential” issues. They have commentators philosophizing about whether the tapering of Quantitative Easing is “priced in” (an invalid question, as I argue in my in the Theory of Interest and Prices). They credulously entertain the view that it signals “economic recovery”. If the economy were really recovering for four years, there would be no need for such hype. On CNBC this week, Larry Kudlow’s guest was a sell-side analyst. He worried that either the absolute level of the rate, or the speed with which it has risen, will interrupt the bull market in stocks. Why is he concerned? Higher rates may discourage companies from borrowing to buy back their shares and issue dividends. I have previously written about this madness. It is a strange politically correct world that makes it a taboo to say the simple truth. Unfortunately, freedom of speech in America is slipping—at least on controversial topics that matter. It may still be legal, but there is a very real chilling effect. In a crony system, one’s career is at risk to say the unpopular. So the gentlemen in the club safely confine their discussion to the M1 and M2 measures of the money supply, and the number of angels that can dance on the head of one pin. Let’s take a step back from the noise. In the real world, every change in the interest rate destroys capital. To avoid this, firms hedge using derivatives. The good gentlemen in the club do sometimes acknowledge the derivatives problem, but never the cause, never why derivatives grow and grow and grow until they are now estimated to be approaching one quadrillion dollars. Those who sell these hedges must, themselves, hedge. They can push risk around and around in a circle of the big multinational banks. They cannot eliminate it. Historically, the Federal Reserve has exhibited what I’ll call “bipolar interest rate disorder”. They vacillate between bingeing and purging. First they try to encourage the economy to “grow” by offering a buffet of too much credit, dirt-cheap. Then with pangs of regret if not guilt, they try to “fight inflation” by raising the price of credit. This leads to a bogus debate among economists: which evil should the Fed be pursuing at any given moment. Wall Street, of course, has a strong bias towards more credit, dirtier and cheaper. So do politicians seeking reelection. Today, these two false alternatives are called “stimulus” and “austerity”. Fans of the latter sometimes fantasize about a mythological place, like Atlantis or El Dorado, called the “Exit”. 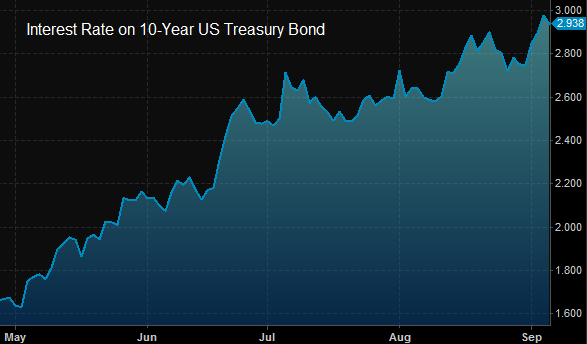 Unfortunately, the Fed cannot sell their bonds. If they reversed from big buyer to even a small seller, it would reignite the very conflagration they fought in 2008. Leveraged market players would be unable to sell new bonds to pay their old bonds when due, and would therefore be forced into default. Talk of a Fed “exit” is a smokescreen. Let’s take a further step back. The collapse of the Soviet Union proved that central planning doesn’t work. It can’t even deliver simple goods like food. The Fed is the central planner of something much bigger and vastly more complex. Money and credit are the foundation of our economy, and everything else depends on them. The issue is not what the Fed should do next! We should be discussing how to transition from irredeemable currencies to a free market based on gold without collapsing the financial system. I wrote a paper proposing how to do this. There may be others with good ideas. Let’s begin the discussion. Unfortunately, few want to risk their careers. I am not sure what would be worse: the cowardice of remaining silent in the face of a Big Lie, or the fact that saying the truth would indeed jeopardize one’s career in finance or economics. We should be talking about the evolution of the Fed. Let’s not get distracted by conspiracy theories, stories about ancient banking families and creatures from islands with unfortunate names. And no, the Fed is not a “private cartel”. The Fed began in 1913; it was the liquidity provider of last resort. If a bank needed gold, it could take Real Bills to the Fed, who would buy them at a discount. The government should have no role in the financial system at all, but Fed v1.0 was not the destroyer of markets as Fed v8.2 is today. Subsequently, they began to buy government bonds. Incrementally, over many decades, the Fed evolved into the central planner it is today. Some of these steps were by presidential decrees, some were Acts of Congress, and of course the Fed took new powers for itself at opportune moments. Today, there are many distribution channels, but the Fed is the only provider of credit of any resort. Should they cease issuing new credit, every bond market in the world would seize up followed immediately by the default of every bank, insurer, annuity, and pension. Despite the Fed’s record pumping of credit effluent, some bond markets are beginning to collapse anyway, along with the national currencies backed by those bonds. We face a bitter dilemma. Without credit, large-scale production is not possible. The economy would devolve into medieval villages, with subsistence production done on family farms and workshops. On the other hand, continuing a system based on ever more counterfeiting will destroy more and more capital until the economy collapses. Markets are being slammed back and forth between “austerity” and “stimulus”, between credit contraction and credit expansion. The number of units of the Fed’s credit paper required to buy an ounce of gold has long been rising. In other words, those units of credit were falling in value. But in the past few years, one has needed fewer of them to trade for gold. One day, traders are borrowing freely to speculate in the markets, driving prices up. The next, they are squeezed in a vice, desperate to roll over their liabilities, or if they cannot, to sell assets, especially assets that do not have a yield. In conclusion, here is what I think the Fed should do. The Fed should go on buying bonds and doing what it has to do to keep the system going. No one wants the system to collapse. We should all be clear that the Fed is doing nothing more than buying time. We need to use that time to transition to the gold standard, to begin the process of gold and silver to circulate, to develop a market for lending and borrowing gold. We need to repeal the capital gains, VAT, GST, and any other taxes that make it impractical to use gold. We need to repeal laws that force creditors to accept paper as payment in full. We need to develop the institutions such as gold banking and Real Bills. This entry was posted in Monetary Science on December 6, 2013 by Keith Weiner.